Dr. Neenu Kumar is Associate Professor in the Department of English, Aditi Mahavidyalaya, University of Delhi. She is an enthusiast and has keen interest in the study of ecology in connection with literature. She was Conferred Certificate of Honor by Aditi Mahavidyalaya, University of Delhi for the “College Lecturer Award-2015” given by Government of NCT, Delhi for outstanding academic achievements on April 22, 2017. She is also the recipient of Best Teacher Award for the academic year 2014-2015 conferred by D.H.E., NCT of Delhi to a meritorious teacher from a college of University of Delhi. In the changing political, economic, social and technological scenarios, she is trying her best to convert students’ apathy towards learning into positive attitudes. 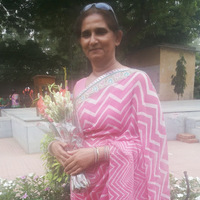 She is one of the Coordinators from Delhi NCR of FSLE-India and also an executive council member.